Washington Nationals leading pitcher Max Scherzer was scratched from his scheduled start against the San Diego Padres on Friday night with a sore neck. The two-time Cy Young Award winner Scherzer (12-5) has been dealing with various neck soreness after he missed a game with neck spasms earlier this month. "It's his neck, but it's the other side," said Nationals manager Dusty Baker. "We're taking the cautious route." Baker said Scherzer arrived at San Diego's Petco Park earlier than usual to try and loosen his neck, but informed him that he was not able to pitch. 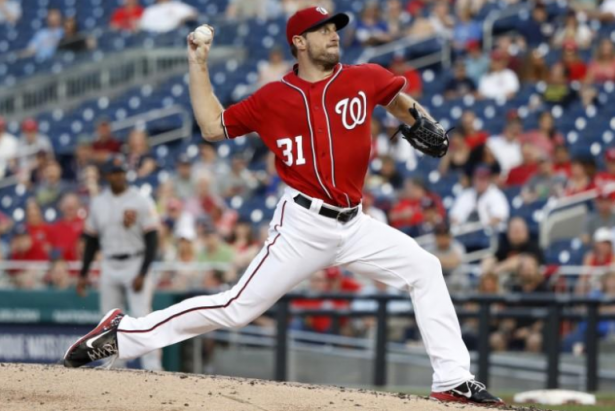 Scherzer, who was placed on the 10-day disabled list, was replaced by left-hander Matt Grace. There is no timetable for Scherzer's return.